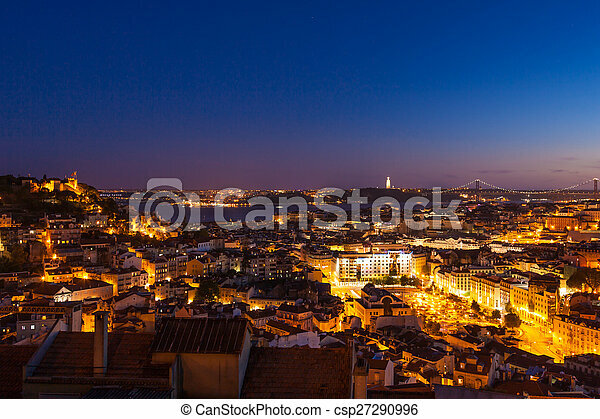 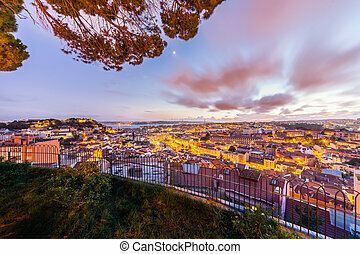 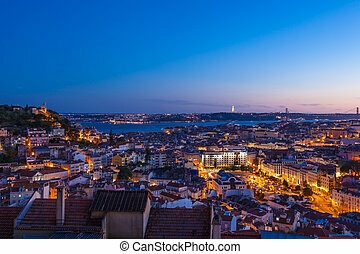 Aerial view of lisbon rooftop from senhora do monte viewpoint (miradouro) by night in portugal. 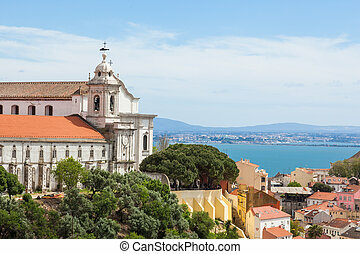 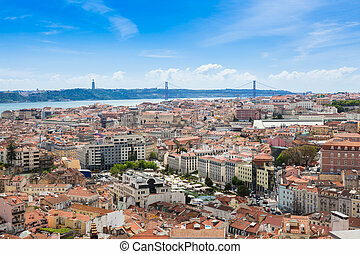 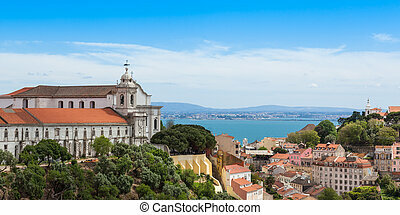 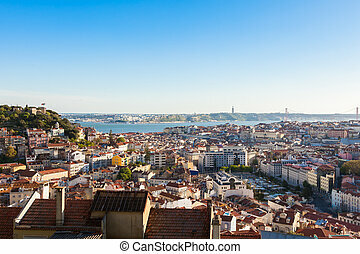 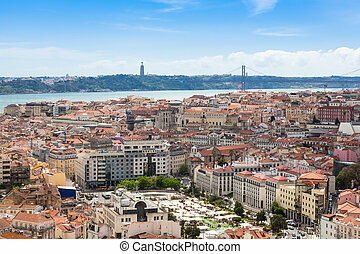 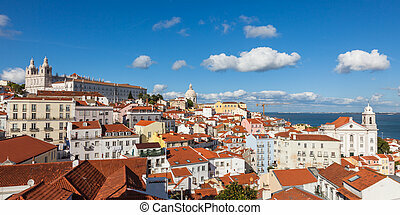 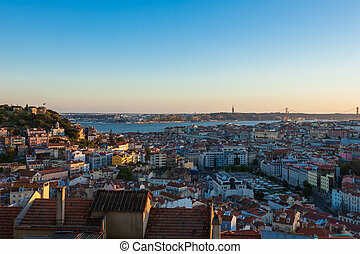 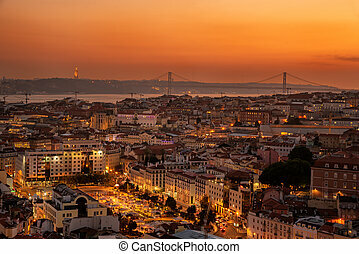 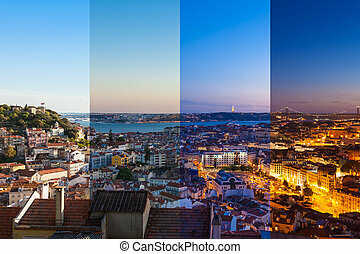 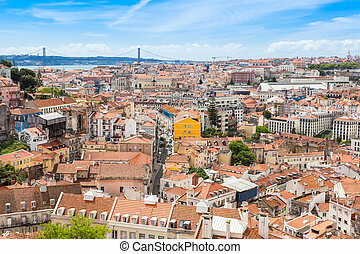 Aerial view of Lisbon, Portugal, from the highest point in the city. 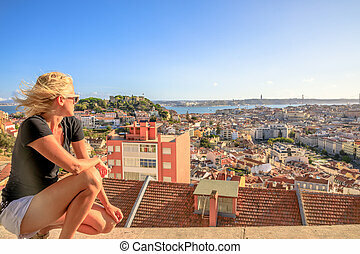 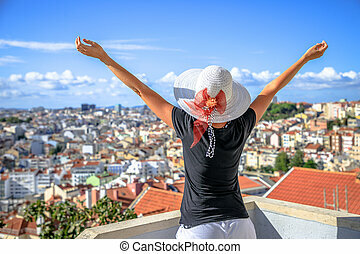 Caucasian woman looking Lisbon panorama from viewpoint Our Lady of Mt. 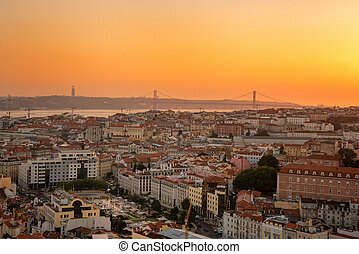 in Alfama district at sunset. 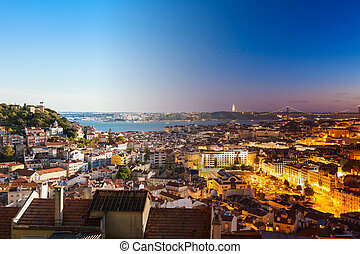 Tourism and travel concept.